Odors are powerful. One whiff and your brain whirs, oh yes, I remember that. I grew up on Long Island, and, as a result, I have traveled through Penn Station often. We would take the train in and out of Manhattan, on visits to museums or expeditions to Broadway shows. Later, I’d change trains at Penn for Amtrak, to get back and forth to college. Summers, I commuted - a daily passenger. Penn Station then and now always smells to me like donuts. Sweet, oily, distinct. Stale beer and indifferent popcorn, occasional piss, late night vomit - they layer grace notes into the donut aroma. But a whiff of that particular donut small will always jolt me back to hours spent waiting at or traversing through Penn. 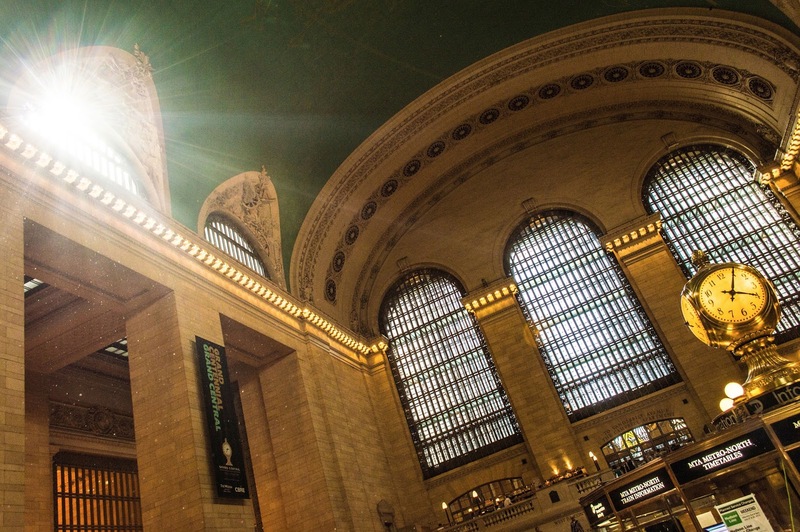 For years now, I’ve commuted daily through Grand Central Terminal. It’s a palace, a wonder, a temple, especially as compared to Penn Station. Penn is low-ceilinged, subterranean, warren-like; GCT soars, replete with daylight in the main upstairs hall. GCT has never smelled specific to me. Yes, it's briny in the Oyster Bar and smells of solvents near the shoeshine and there are pockets of coffee, onion bagels, diesel fuel, flowers. But there’s no one smell that says “I am in Grand Central”. The powers that be are building a whole new station under GCT - the Long Island Rail Road will one day stop there, 14 stories underground, providing “East Side Access” (because Penn Station is so far away). It’s supposed to be open and running four years from now. Recently, one of the stands in the lower level food hall changed hands. I can’t remember what was there before, but now it’s a fancy-pants donut shop. The result, for me, is that now, willy-nilly, GCT smells like Penn Station. It's like the Doughnut Plant is a harbinger of the arrival of the Long Island Rail Road.